When you are excitedly preparing to welcome your new precious little one, there are so many decisions you have to make. One of the most weighty is, of course, choosing the safest and best sleeping solution for your baby. A part of what makes this decision difficult is whether to purchase one crib to last from newborn through the first couple years, or whether to purchase a couple different sleep spaces, one for the early months, and one for as they grow. The Waldin Baby Bedside Cot co-sleeper can help resolve this conundrum. 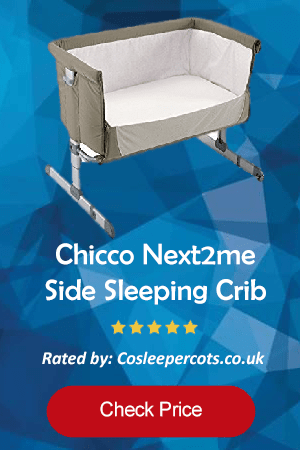 If you know that you want a co-sleeping cot that will allow you to safely keep baby close to you throughout the night, but you would love to not have to purchase multiple beds, this is a great option! As is true of all of our favorite baby sleep solutions, the Waldin Baby Bedside cot is a well-functioning co-sleeper that will allow you easy access to your baby throughout the night while still providing a safe sleep space for your baby. It has a variety of unique traits about it. For instance, it is constructed of solid, untreated beach wood and resembles a traditional crib much more than most co-sleepers. The way in which it is paired with your bed is also rather unique among side sleepers, in that one side of the crib is removed and an extension is added on. You can then extend the mattress as well. The result is that the crib literally bridges the gap to meet up with your bed. There are attachments that can be used to connect the co-sleeper to your bed underneath your mattress, ensuring that no dangerous gaps can develop. Also, this co-sleeper has ten separate height settings ranging from 17-55 cm, ensuring that it should match up perfectly with your bed’s mattress height. Another great detail of this co-sleeper is its longevity and versatility. You can use it as a co-sleeper for newborns through about the age when your baby could start rolling over into your space. 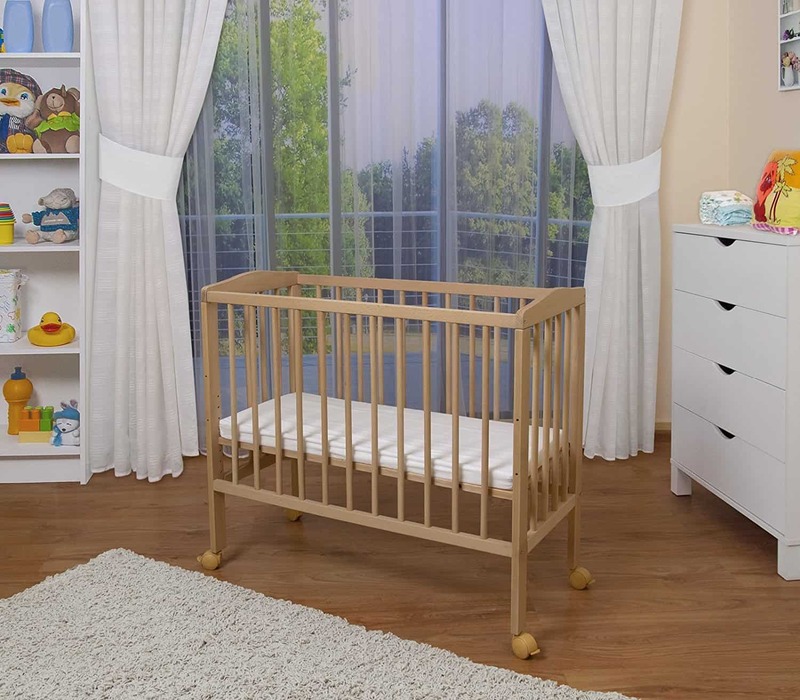 Once this stage arrives, though, you are still in good shape, as you can convert the co-sleeper into a traditional crib with four solid walls. Once your baby is standing and/or climbing and in danger of pulling himself out, you can make a final conversion to a children’s couch.